Bats are interesting animals, in that they are the only mammals truly capable of sustained flight. 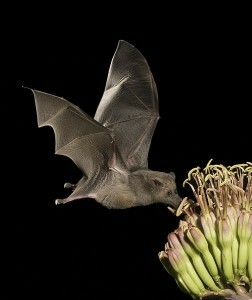 Due to its poor eyesight bats have become such agile fliers that they have been able to adapt flying at night. 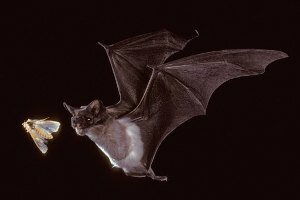 Bats use echolocation to help them pinpoint their surroundings and allow for them to catch their prey. But what many people do not know is that bats use more than their astute sense of echolocation to help them become winged creatures of the night. In a recent report in the Proceeding of the National Academy of Sciences, researches from the University of Maryland have found the tiny hair on the bat’s wings to be microscopic hair sensors. Scientists have been baffled as to what the tiny hairs are used for, and it hasn’t been until recently that they have discovered that these microscopic hairs act as airflow sensors for the bats. 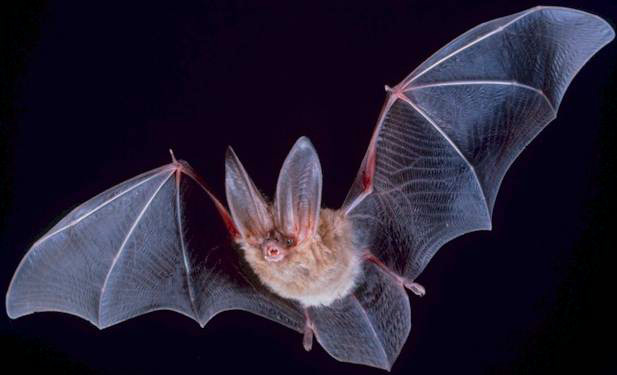 They suggest that the hair is part of a complex system of sensors that connects to the brain and allows for the bat to have a better flight response, especially since they are nocturnal creatures and flying at night could be hazardous for them as well. Ohio University biologist John Zook, hypothesized that these sparsely distributed microscopic hairs act as the bat’s touch receptors. The study’s co-author Susanne Sterbing-D’Angelo decided to test Zook’s hypothesis. Sterbing-D’Angelo and the research team at the University of Maryland created an artificial forest that mimics a bat’s flight at night. After they removed the hairs off the bat with diluted removal hair cream they ran them through the course. They filmed the experiment with a high speed infrared video camera and studied the results frame by frame. What they found was quite astounding. The bats without the hair flew faster, but had wider turns. They were still able to finish the obstacle course, but without the same precision and agility as those with the hair on their wings. The bats especially need to create sharp turns, not only to catch their prey, but also to avoid being a prey themselves. Bats are truly fascinating creatures in that we know so little about them. We disregard them as annoying pests of the night and even sometimes fear them. We all need to learn to appreciate the power of the flight behind this animal for in the end we learn most when we observe. Wow! I wonder if each species has a different hair length, and if the different hair length effects the accuracy of the bat? Hi Adrienne — I added a caption to make the source of your images more visible (although you had linked back to the source, which is nice). This is very interesting, Adrienne! I loved the video you found of the bat flying. It really shows the wing movements very clearly. Have you tried to get in touch with the research group at BU that is investigating bats?